Ontario Minister of Economic Development Brad Duguid is feeling bullish about Canada's position when it comes to NAFTA and trade talk with the United States. TORONTO -- Ontario Minister of Economic Development Brad Duguid said Canada is "fortunate" to begin a NAFTA dialogue with the Trump administration "from a position of absolute strength." Over the first three quarters of 2016, Ontario's real GDP growth has outpaced that of Canada's and all other G7 countries. The province’s unemployment rate is also at its lowest in eight years, Duguid said. 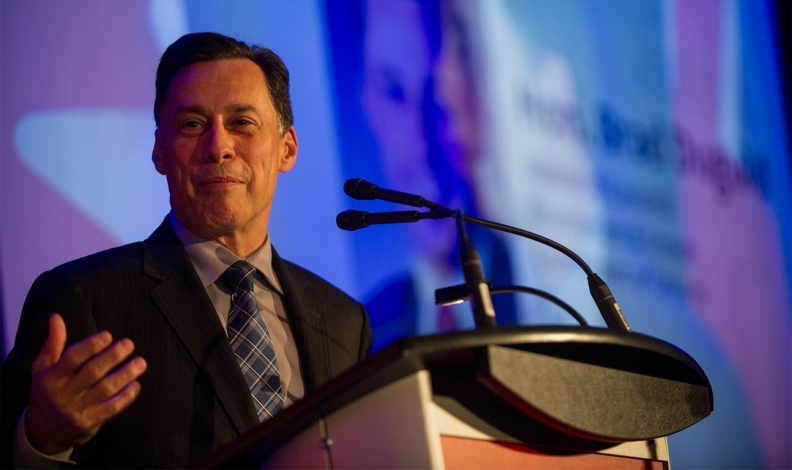 “We’re doing well,” Duguid said after speaking at the first Automotive News Canada Congress in Toronto. He said the statistics and growth make Ontario an attractive place to invest and give Canada some advantage in renegotiating the North American Free Trade Agreement, something U.S. President Donald Trump intends to do. Duguid told the room of more than 300 people at the Metro Toronto Convention Centre that about 9 million U.S. jobs rely on an unfettered border and that the auto industry is incredibly integrated among Ontario, Michigan and even Mexico. “The interconnectedness with Michigan and the Great Lakes states is so, so important,” Duguid said. The minister said Trump now realizes how interconnected the auto industry is between the Great Lakes states and Ontario. Prime Minister Justin Trudeau met with Trump on Feb. 13 in Washington. The White House and the Prime Minister's Office issued a joint statement reaffirming their nations’ bonds. "No two countries share deeper or broader relations than Canada and the United States," the statement said. The two countries' have “shared economic interests," with $2 billion in trade passing between them every day. “We'll get through this, and we'll get through this well,” Duguid said of NAFTA and trade talks with the United States. Navdeep Bains, Canada’s minister of Innovation, Science and Economic Development, also spoke at the Automotive News Canada Congress. He assured those in attendance they had Ottawa’s support. "I'm a big, big fan of the automotive sector," he said. After his address, Bains announced $18 million in federal financial support to a pair of auto suppliers in Ontario. Forecasts that the project would be completed by 2020 are now looking unlikely. Trudeau and Trump both said from Washington the bridge is a priority. The Trump administration has it on its Priority List of Emergency and National Security Projects. The bridge is designed to speed up trade between the countries, something suppliers have been calling for since parts can cross the border six times or more before ending up in a vehicle.